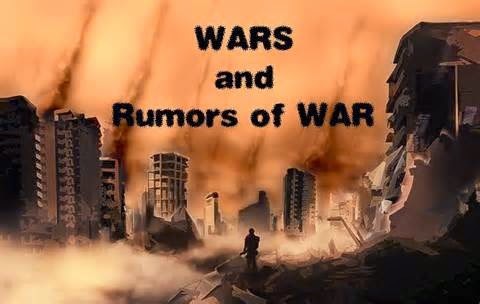 According to this report, and as the Foreign Ministry detailed in full just days ago, the Syrian War was a vile plot of the Obama-Clinton Regime which they initiated in order to gain for their Middle East puppet states Saudi Arabia and Qatar oil and gas pipelines through Syria to the energy starved European market—but whose plans to do so were destroyed after Russia entered this conflict to destroy the radical Islamic terrorist armies the Western nations had created and funded to do their murderous work for them. 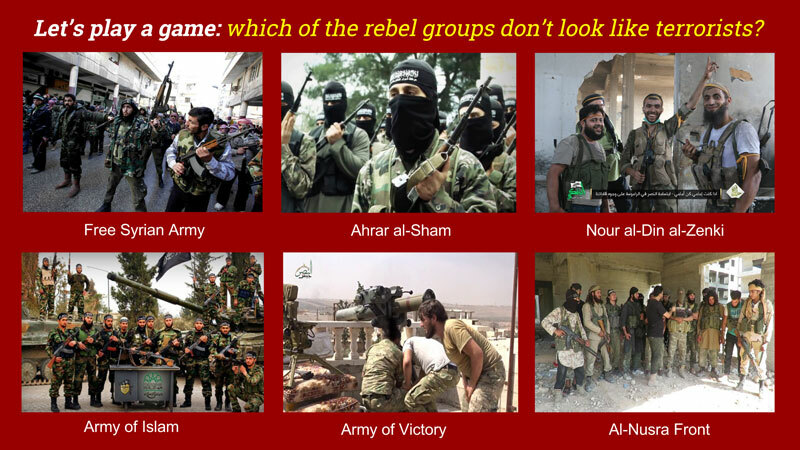 The last remnants of these Western created and funded radical Islamic terrorists remaining in Syria, this report details, are now all surrounded by Russian-Syrian allied forces in Idlib Province—with their numbers estimated to be around 30,000, and who are nearly all members of the international terrorist organization Hayat Tahrir al-Sham (HTS)—otherwise known as Al-Qaeda in Syria—and who have, also, begun a murderous rampage among this region’s nearly 3 million innocent civilians. With Foreign Minister Sergei Lavrov declaring that the Syrian government has every right to liquidate these radical Islamic terrorists, and who he warns are still being supplied with massive amounts of weapons and ammunition from the West, this report continues, Russia’s greatest fears involving these terrorists are the growing and alarming signs that Al-Qaeda and the Islamic State are preparing to set up a new “terrorist holding” from which they can expand their barbaric attacks all around the world. 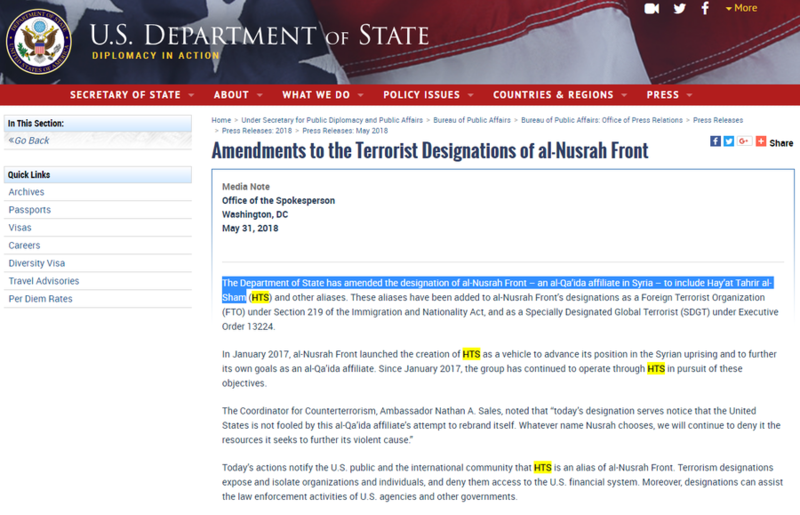 So it was with complete shock and astonishment, this report notes, when, on 2 September, MoFA intelligence analysts discovered that The New York Times (in their article “In Idlib, Final Offensive in Syrian War May Come at Horrific Cost”) was jumping to the defense of these Hayat Tahrir al-Sham (HTS)-A-Qaeda barbaric terrorists in Syria by portraying them as nothing more than “warm and fuzzy” humanitarian-minded administrators—and, most despicably, their burying over 20 paragraphs into their article the fact that their own US government had (like Russia, Turkey and Syria have done) already declared this terrorist organization to be among the most dangerous in the world. While The New York Times was praising these barbaric Islamic terrorists in Syria, this report further notes, they completely kept hidden from the American people the latest report from the United Nations Human Rights Commission (UNHRC) showing that more than 750,000 Syrians displaced by the war (11% of the total 6.6 million internally displaced people (IDPs) in Syria) have returned to their homes thanks to Russian-Syrian military forces defeating these terrorists—and was no doubt due to UN High Commissioner for Refugees Filippo Grandi reporting that missing from US statements is what to do about these Islamic terrorists who have taken refuge in Idlib Province, as they have been mostly abandoned by their former backers, and who are now imposing Islamic law in the neighborhoods they control and holding the people of Idlib hostage to their doomed-to-fail last stand. To why anyone of sound mind would dare think of abandoning the innocent civilians of Idlib Province to these barbaric Islamic terrorist monsters, this report says, defies all rational and moral comprehension—but can, possibly, be understood by a bizarre event that occurred the other day in the United States when that nation’s entire shadow government “Deep State” gathered together for the funeral of US Senator John McCain—and best characterized in the article “World Misses The Point Amid Internet Frenzy About Bush Sneaking Candy To Michelle Obama” that describes their nation’s past warmonger leaders by saying: “A war criminal giving a piece of candy to the wife of another war criminal at the funeral of a war criminal is all it took to get mainstream American brains gushing with dopamine and oxytocin”. It's typical American and British imperialism. Right now they need some sort of pretext to be able to attack Syria. Idlib is basically the last stronghold that the terrorists have in Syria. Somehow, so far, Assad and his Syrian Army have defeated the US and UK in this proxy war but Idlib is their last stand. 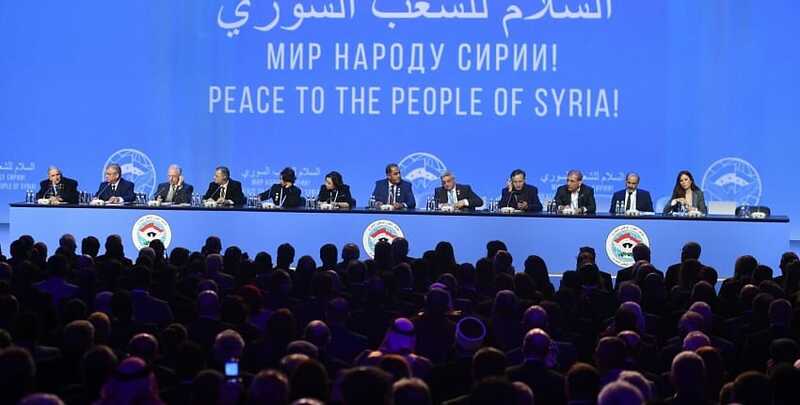 If Assad can free Idlib, there is no foothold left in Syria for the Western countries. So they need to host some sort of false flag chemical attack to get the public support that they need to attack Syria. They need to paint Assad as some sort of animal, gassing his own people. Then the US and UK can bomb Syrian military installations and anything else they want. But why is he providing safe passage on the humanitarian route out of Idlib if his plan is just to kill his own people? 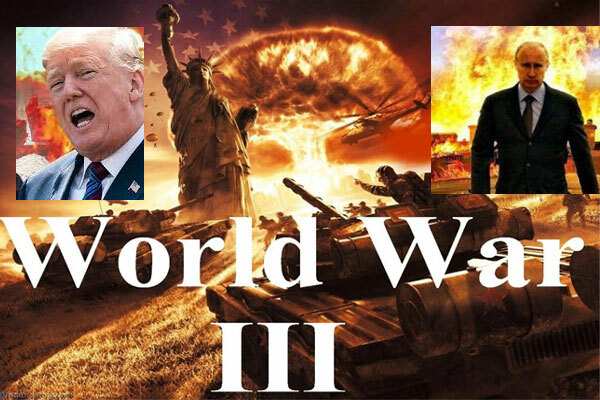 To the gravest national security threat surrounding the Western war machinations in Syria involving the Russian Federation, though, this report concludes, is how it’s now destabilizing Ukraine that sits on the very southern border of Russia—whom the West is now using to funnel weapons to radical Islamic terrorist groups like Al-Qaeda and Islamic State, the US has just declared it’s preparing to drastically expand military assistance to, and whose President Pyotr Poroshenko, yesterday, vowed to terminate Ukraine’s treaty of friendship with Russia on 30 September—and whose counterpart visualization the American people aren’t being allowed to see is how their nation would respond if Russia started using Mexico to funnel weapons to terrorists in the United States, started building up Mexico’s military forces, and then announced they were terminating all treaties with the US—which, of course, is the recipe for World War III only the most warped of minds could ever conceive of—presently known as the “Deep State”, who couldn’t care less how many lives have to be lost as they battle President Trump to the death. September 4, 2018 © EU and US all rights reserved. Permission to use this report in its entirety is granted under the condition it is linked back to its original source at WhatDoesItMean.Com. Freebase content licensed under CC-BY and GFDL.